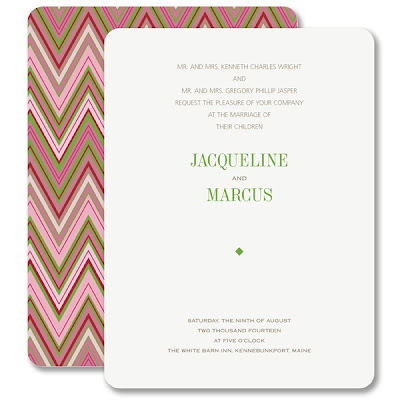 We adore the summery-chic aesthetic of chevron stripes from our Style Me Pretty wedding collection. 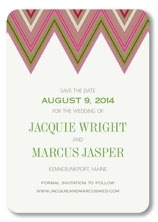 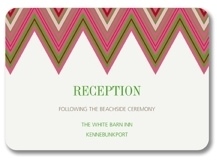 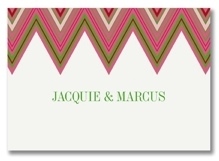 This Cabana Chevron invitation in vibrant pink and green is the ideal invitation for a summer wedding with an outdoor reception. We think this cabana-style is perfect for poolside, seaside, and destination weddings. 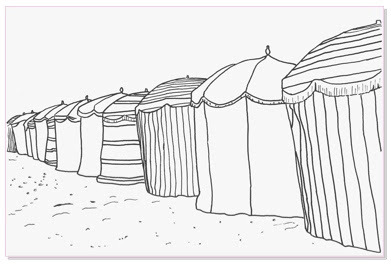 Don't you? 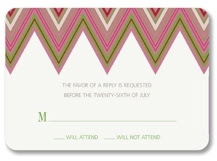 Cabana Chevron has matching Save the Dates, Reply Cards, Personalized Couples Notes, and Reception Cards.